This is a copy of a letter I received yesterday from Wendy to Laura at the Make-A-Wish Foundation and I wanted to share this with everyone as it sums up what one-wish is all about. This is absolutely fantastic news thank you so much Wendy on behalf of one-wish and all my followers, this truly is a wonderful thing that you are doing. Hello. My name is Wendy and I am a good friend of Mike Rigby, owner of the web site, one-wish.co.uk. 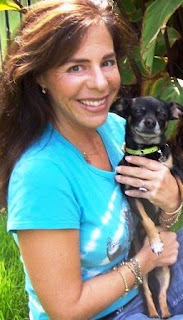 I live in Los Angeles, California and have a radio show and webpage called Wendy’s Animal Talk. Recently, I have been very moved by your organization and foundation and I would consider it an honor to grant a wish. As a breast cancer survivor, I know first hand what it is like experiencing daily challenges. Since birth, I have lived with servicer dyslexia and ADHA. I truly feel comfort in knowing that there are Guardian Angels, such as yourself and Mike out there, helping dreams come true. Please let me know how I help grant a child wish, either personally or through my radio show. Perhaps you have a young budding On Air Talent who would love to have their very own pet talk show for a day. Thank you so much for all of the wonderful wishes you and your staff grant every day. Bless you and your children. And leave your footprints by posting comments. Thanks for stopping by my blog. Congratulations on getting the great press for your cause. Wish you continued success. It is really nice to read stuff about how good people are. I still believe in the goodness of men in spite of what is happening to the world.